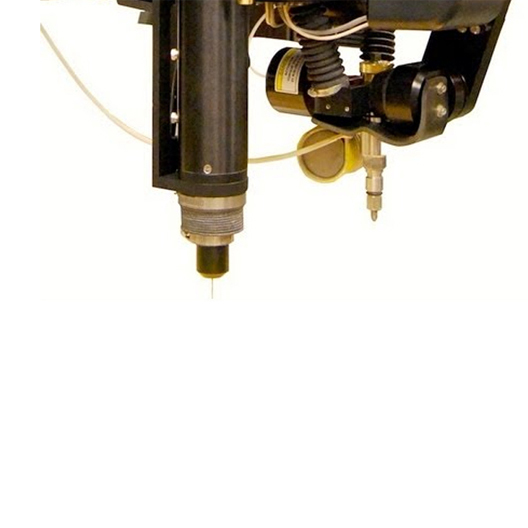 Achieve reliable piercing of composites and laminates with an OMAX-engineered pneumatic drill specifically designed for the waterjet environment. 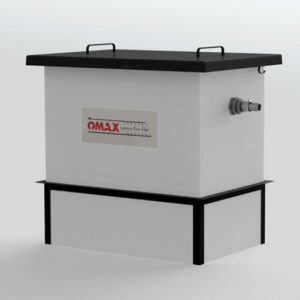 Solely customised for OMAX machining, the robust Drill Head permits repeatable piercing of laminates and composites prior to abrasive waterjet cutting and accurately pierces small diameter holes in thick material. With Intelli-MAX® innovation, no separate programming is required. 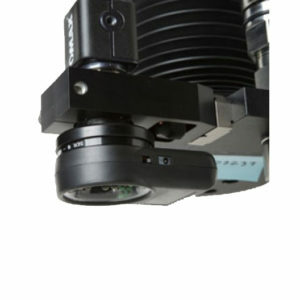 The OMAX Drill Head is mounted to the Y-axis carriage and is easily adjustable in the Z-direction to move the accessory out of the way when not in use. No external power is required. Highly efficient 5,000 RPM air motor provides maximum power with minimum air consumption. 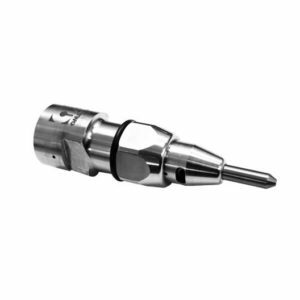 Air motor design promotes longer drill bit life and quality drilled holes. 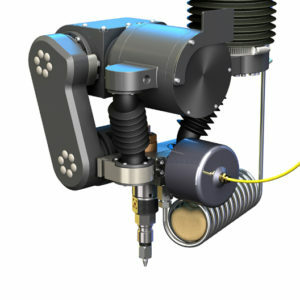 Eliminate the process of tedious hand drilling with customized registration templates. When used with the OMAX PC-based controller, the Drill Head can quickly and automatically drill holes in desired locations before cutting material with a jet stream.